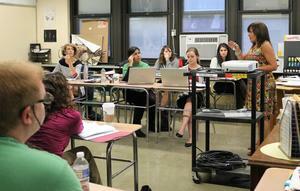 For a 4th year, the Westfield Public School District hosts two important graduate level Holocaust Education courses to equip educators with teaching strategies to implement a longstanding multidisciplinary program in the district that includes age-appropriate instruction in the Holocaust and genocides in the K-12 curriculum. 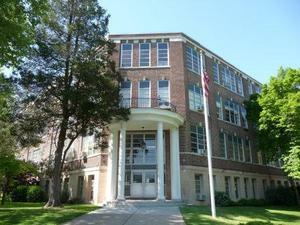 An overview from our director of counseling on Social and Emotional Learning, along with a report from the district's architect on capital projects for Summer 2019, were among the topics discussed at the November 13, 2018 meeting of the Board of Education. More information about the meeting can be found in Dr. Dolan's synopsis. Students and staff across the Westfield Public School District honored the nation’s military veterans on Nov. 12 with assemblies and other commemorations to thank them for their service and sacrifice. On a recent Friday, a fifth grade class at McKinley Elementary School shares questions, predictions and observations about a novel they are reading with another fifth grade class. Not an unusual exercise in Westfield, which encourages this kind of student-driven exploration. 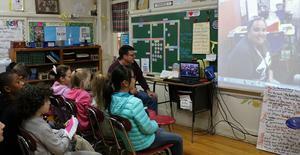 What is unusual, however, is that the fifth graders in Westfield are discussing the novel "Amal Unbound" with fifth graders in Atlanta, Georgia. The Westfield Public School District invites WHS graduates to visit the Alumni Outreach section of the district website to enter contact information and share news of interest for a new electronic newsletter aimed at helping alumni engage and connect with each other and the school district. Westfield Public Schools partners with Town Book Store to showcase a list of recommended elementary level reading as part of the district's commitment to social and emotional learning. 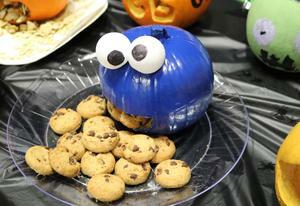 There were dinosaurs and unicorns, superheroes and sports figures, skeletons and witches, as Westfield students across the school district celebrated Halloween with parades and parties on Oct. 31. Social and emotional learning was among the topics discussed at the October 30 meeting of the Board of Education. For more, please read Dr. Dolan's synopsis of the meeting. 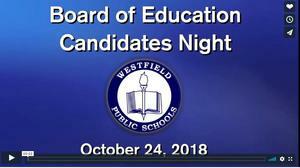 The Westfield Parent Teacher Council (PTC) sponsored Candidates Night on Wednesday, October 24. A video recording of Candidates Night is now available for viewing. 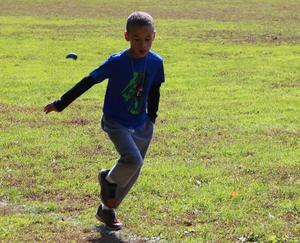 On any given day during recess, Westfield elementary students might be found engaged in energetic games, gleefully bouncing balls, or just generally scampering about. But look closely and you’ll also spy a determined group of youngsters running the roughly quarter mile perimeter of an elementary field over and over again.